Successfully Added Media Vantage - Full 1080P HD Media Player to your Shopping Cart. With the Media Vantage you can easily playback all of today’s most demanding media files. Media formats/ codecs include: avi, mkv, mov, mp4, mpeg, wmv, rm, rmvb, m2ts, flv, flac, ogg, mpeg 1/2/4, xvid, divx, h.263, h.264, wmv9, vc-1, rmvb and many more. Simply put, with the Media Vantage you can spend less time worrying about compatibility issues and more time enjoying your multimedia content. At the heart of this device is the powerful Boxchip F10 CPU. This is what allows the Media Vantage to playback smooth 1080P movies that are vivid, colorful and full of life. You can even playback your Blu-ray HD files at full resolution! This is pretty impressive considering that most media players priced at $125 or more can’t even match this kind of performance. Using this device is very simple and straight forward. Just plug-in your SD card or USB thumb drive, use the remote to select photos, songs or movies, then sit back relax and enjoy! The user intuitive menu system makes it quick and easy to access all your media content; while the HDMI 1.3, composite RCA (white, red, yellow), and VGA output connectors ensure full compatibility with any TV or computer monitor. 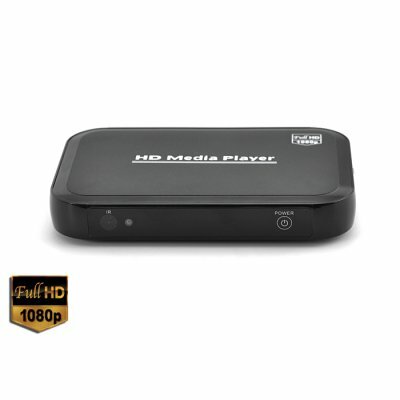 No doubt about it, this is hands down the best value 1080P HD media player on the market today. We really have to give credit to our incredible sourcing team for this one. Countless hours of building relationships or “guan xi” as the Chinese call it, where necessary before bringing you such an unbelievably low wholesale price. Take this opportunity to enjoy true 1080P HD at an affordable price and order now while supplies last. The Media Vantage is shipped out within 24 hours and includes our full 12 month warranty. Device only weighs 4.5 ounces making it perfect for resale! Does this product work an extrenal hard drive? Can I rebrand this device with my company name and logo? Sure. This product is perfect for rebranding due to its amazingly low wholesale price. If you can order more than 500 we can have this arranged for you. on 2012-02-01 09:34:23 Excellent: does exactly what is supposed to do. I'm enjoying this player very much. The first thing that struck me was the ease of use, the controls are really very intuitive. It's even better than I expected: it plays every movie/music/photo I want, with good quality (no jitters or stutters in audio/video of any kind as of yet, and has a slideshow option for photos with music of your choosing!) but, most importantly, it can play through my monitor and stereo columns that I still use with my old & trusty mac G4. I do not use TV's anymore, and so having this quality entertainment without bulky home cinema apparatus or late-night-noisy computer fans, is pure bliss! So, it is backwards compatible with VGA monitors, and this is very rewarding if you wish to pursue enjoying your fine 'old' equipment without having to buy expensive new stuff just because the standards have shifted (...once again). And because here in Portugal there are NO players with VGA output, this one's a precious gem for me. Delivered as Chinavasion promised: perfect! on 2011-06-01 00:23:16 Awesome Media player! This powerful player can play movie in all common format, all common subtitles format..It also can play media file(picture,mp3,movies) in various external storage even in my external 2.5" IDE/PATA Hard drive without problem!! This is great player I've ever seen! I setup up the media player and plug in my USB Hardisk drive and its fast in searching the files. I am happy with the result and i can highly recommend this product who love to watch movies and listen to music. Thanks chinavasion i will order again this product soon.